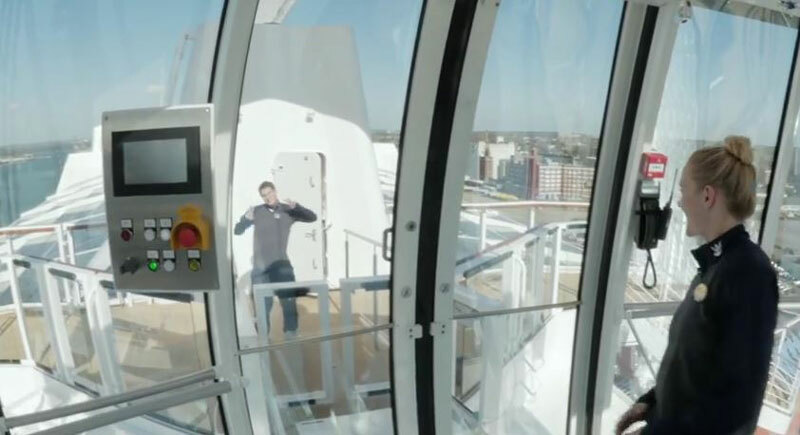 Royal Caribbean have released a new video of the crew member who operates Anthem of the Seas North Star. The North Star is a capsule that rises 300 feet above sea level. The North Star gives passengers 360 degree views of the ocean. The North Star has become one of the cruise industry’s most iconic features that was first introduced on Quantum of the Seas in 2014. The video shows what it takes to operate the innovative feature and introduces Rhanee Schmaltz. She explains what a North Star operated does including keeping track of how many passengers enter the capsule. It must be one of the best jobs onboard because she also gets to go up an endless amount of times. From watching the video we don;t like the sight of that long lines waiting to get into the North Star!